Napoleon Jinnies, one of two male cheerleaders to make history at the Super Bowl earlier this month, told a news organization that he was bullied for being gay at times in his life. “I was always the only boy on the dance team in junior high and high school, and during those years, I was bullied for being gay,” Jinnies, who is from Santa Barbara, Calif., told Refinery 29. “The bullies would make comments in the hallway and one time, someone put gum in my hair,” he said. He said it finally “got to a point where I didn’t want to go to school anymore,” he told the news organization, explaining that he eventually transferred high schools. 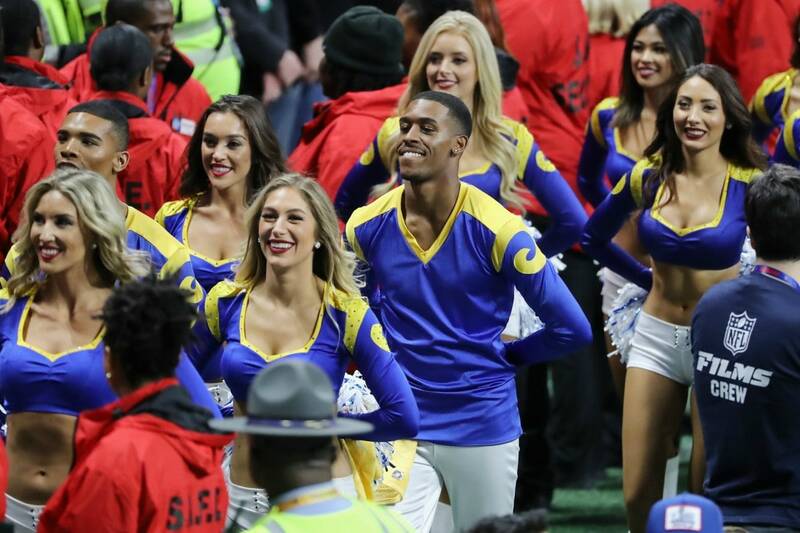 Jinnies, along with fellow Rams cheerleader Quinton Peron, made history during Super Bowl LIII on Feb. 3 when they became the first male dancers to perform at the big game since the NFL first introduced cheerleaders in 1954. Jesse Hernandez of the New Orleans Saints could have been in that group if the Saints had gone to the Super Bowl. Jinnies began dancing competitively while he was a student at Orange Coast College in Costa Mesa, Calif. He has been dancing for 12 years and told Fast Company last year that he has a thick skin. Based on his interview, Jinnies has overcome the harassment. He said that making the Rams cheerleading squad last year was an “overwhelming” experience and that the City of Angels has been welcoming. The issue is larger than any experience that he or other cheerleaders might have.